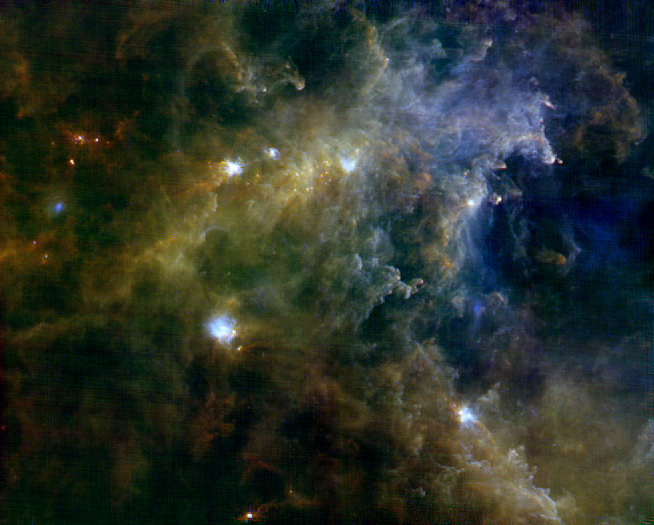 With its unprecedented spatial resolution in the critical 75-500 microns wavelength range, Herschel will provide a unique opportunity to determine, for the first time, the fundamental properties of the precursors of OB stars at distances out to a few kpc. The imaging speed of SPIRE and PACS in the parallel mode will enable us to map the entire extent of massive cloud complexes and detect the massive young stellar objects which have been overlooked by IRAS and Spitzer, i.e. the high-mass infrared-quiet protostars and pre-stellar cores. We propose to use SPIRE and PACS to image essentially all of the regions forming OB-type stars at distances 3 kpc from the Sun (total area of 22 deg2). To complement this imaging survey, we propose to take smaller photometric and spectroscopic maps with PACS toward a handful of isolated regions that display triggered star formation. The 75/110/170-micron PACS and 250/350/500-micron SPIRE images of this project will provide an unbiased census of both massive pre-stellar cores and massive Class 0-like protostars, and will trace the large-scale emission of the surrounding clouds. This survey will yield for the first time accurate far-infrared photometry, and thus good luminosity and mass estimates, for a comprehensive, homogeneous sample of OB-type young stellar objects at all evolutionary stages. The multi-wavelength imaging will also reveal spatial variations of the cloud temperature close to HII regions and OB associations. These data, along with the detailed photometric and spectroscopic study of a few prototypical regions of induced star formation, will allow us to determine the importance of external triggers for high-mass star formation in the nearest massive molecular cloud complexes. This Herschel Key Programme is crucially needed to better understand the formation of OB-type stars and will provide the basis for many follow-up studies. In addition, the data will provide templates for galactic studies of star formation, both in our Galaxy and others.